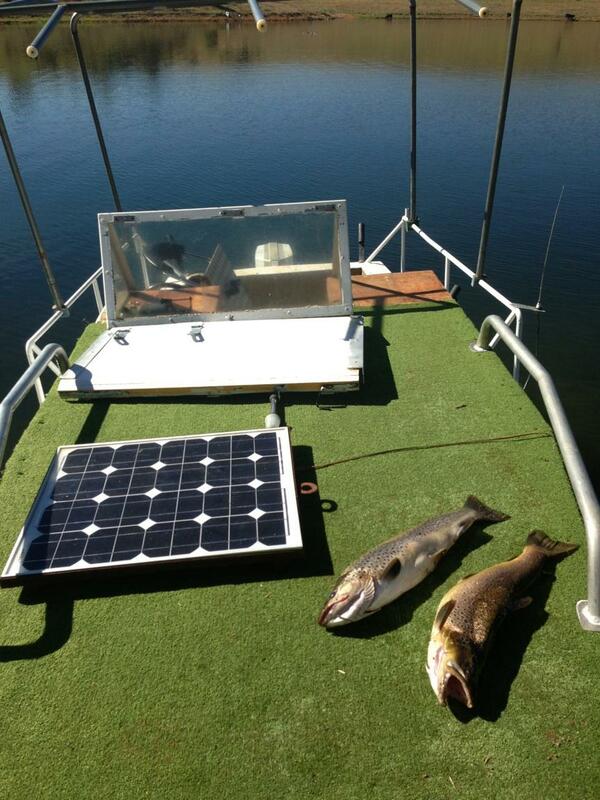 Hey Mick, have been fishing the Jindabyne lake this week in the wind. 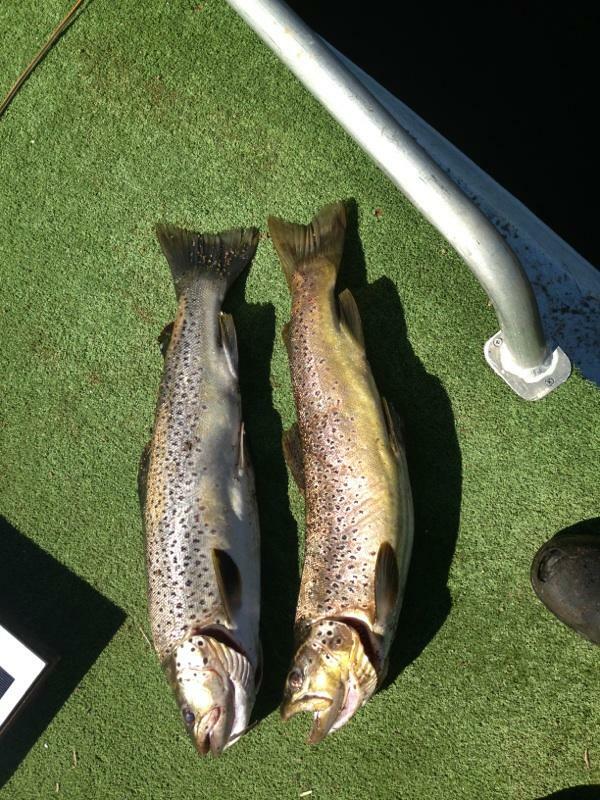 Have put in long hours but myself and Daf from clearwater guides have caught some big browns. The quality of fish has been excellent. Bead bead nymphs fished along rocky shorelines during the day is working well. Cheers and tight linea to all. 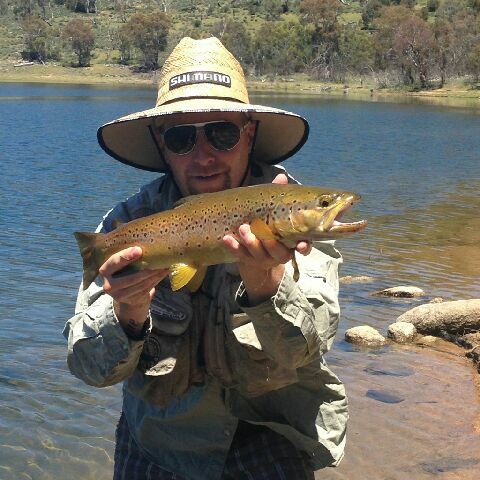 2 nice browns, 1.86kg and 1.78kg Caught on Mudeyes in Jindabyne. Dropped 8 other fish Mudeyes were the pick of the baits. 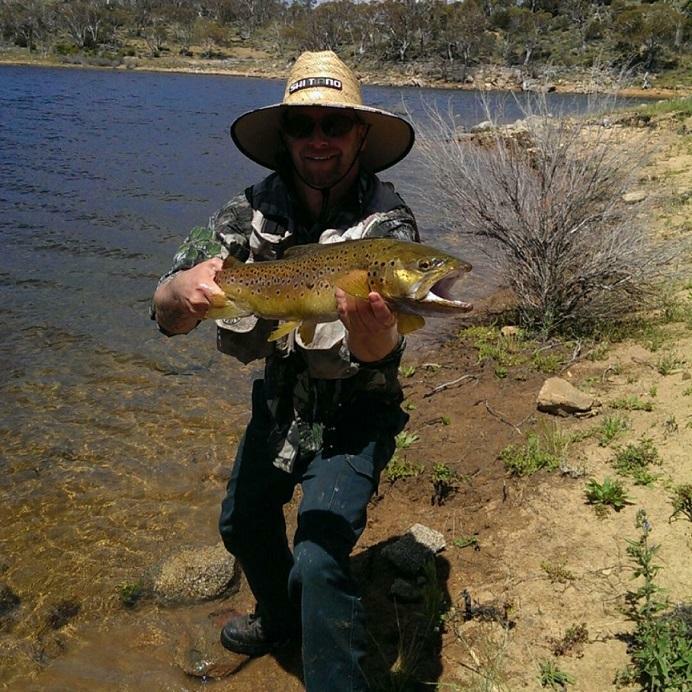 Jindabyne fishing club held a weekend comp. 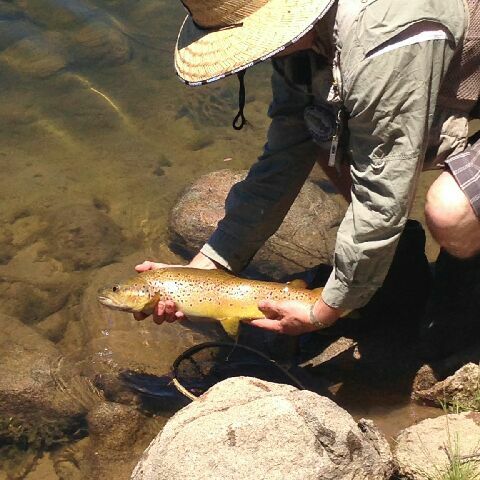 She told you she was going to get her first brown . 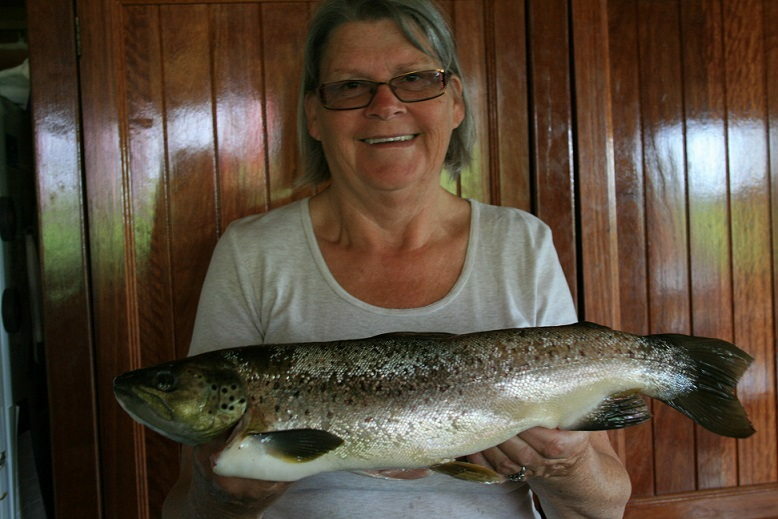 Get a look at the grin on her Thanks Michael for your local knowledge and the great bait. Both on your scrub worms. The brown had 3 soft shell yabbies. With moon on the rise and water temperature around 21 there will no doubt be more yabbies taken by browns as the yabbies shed the shells. 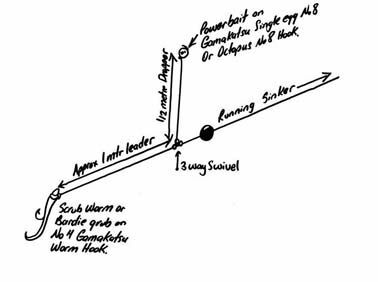 Remember start fishing with longer leaders again the worm are working well and if you are going to try power bait use a longer leader and more sinkers get it out there!! Mudeyes are picking up again don’t be shy longer leader.